What is the one item most of us have on us at all times, no matter what? Our mobile phones. We can’t put them down because they’re just so useful: they store all of our contacts, our emails, our calendars, and our favorite games. But if you could add one more feature, maybe it would be the ability to keep one other gadget out of your pocket. 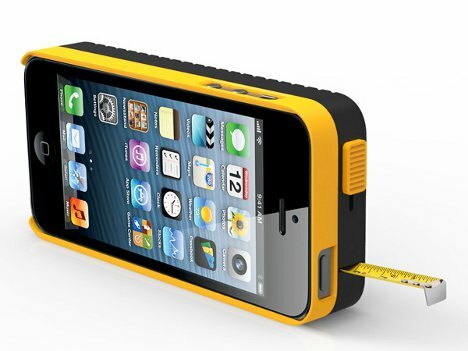 The iPhone 5 Case with Tape Measure, designed by Korean team Psychic Factory, does just that. 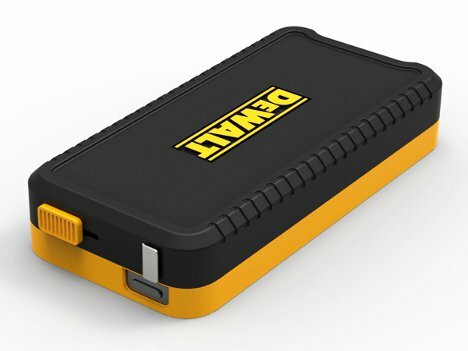 For carpenters, designers or anyone else who needs a tape measure handy regularly, this case is prepared to make your current tape measure obsolete. A semi-rigid tape measure is coiled inside the case, ready to measure whatever it is that needs measuring. There is no accompanying app that records the measurements, so users will still have to record the numbers manually on their iPhone. 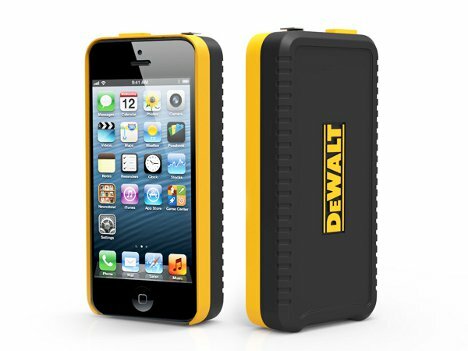 Even if you don’t do a lot of measuring, the case is branded with DeWalt, so it’s bound to be pretty tough. It would definitely be worth having, even if for no other reason than to feel really smart when someone needs a tape measure and you can pull one right out of your pocket. For now, though, the design is just a concept. See more in Home & Personal or under Gadgets. March, 2013.